Smart meters have the potential to contribute to a transformation of health and care in Britain, according UCL-Energy and Smart Energy GB report. 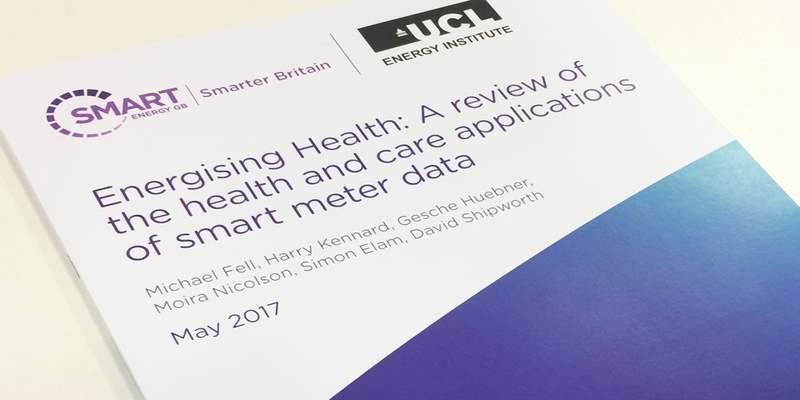 The report entitled 'Energising health: a review of the health and care applications of smart meter data' is the most comprehensive review of the potential uses of energy data in healthcare to date. It explores the emerging trends in digital healthcare, which could be transformed by smart meter data. The report gives examples of projects that are using energy use patterns to improve the care of people with conditions including dementia and Alzheimer’s. These insclude a partnership between Liverpool John Moore’s University and Mersey Care NHS Foundation Trust, which is using smart meters as a non-intrusive way to monitor the daily habits of people with dementia, Parkinson’s and depression. Irregularities in those patterns of behaviour, such as failing to turn the stove on for an evening meal, or turning the kettle on in the middle of the night, can alert healthcare workers that their patient may need additional support. These trials are designed to allow patients to remain independent at home for as long as possible, and help carers or healthcare workers to provide early intervention when there are any signs of deterioration or distress. The report also looks at potential opportunities for energy use data in other unexplored areas of health care. For example, the possibility of using of smart meter data in large-scale public health research. Sacha Deshmukh, Chief Executive of Smart Energy GB, said: “The rollout of smart meters means, for the first time, we will have regular and consistent energy data from almost every home in Britain. This provides endless opportunities for innovation in all areas of our lives, not least in the way we support people with health conditions. Energising health: a review of the health and care applications of smart meter data is the latest in a series of reports from Smart Energy GB exploring the transformative potential role of smart meter data in diverse areas of our lives. For full press release and further information please visit the Smart Energy GB website.